its in June 18th, exactly a month ago. i received a book for devotion routine. i like this small book pretty much, my hesitation to open bible being refreshed with a real life story day by day. thank you dear , love you. i learned to understand from different perspective with examples given. it stirs my heart and shakes mind to analyze my day as individual or my life as a whole big picture. i am still learning though. this is the first page i read and how important it was at the beginning to encourage me to continuously read. the story tells about grandpa Abram and his best friend Eli. they would often share scripture verses back and forth. a bit of competitive spirit resulted in their admission that Eli could cite more references while grandfather could recite more verses. his practice of memorizing scripture became a lifeline for him when he lost his physical sight. But why is it important that memorize the Word of God? it gives us instruction on how to follow God by hiding His Word in our heart. First, in this way, we arm ourselves when temptation comes (v11; Eph. 6:17). Then we meditate on His Word, we could to know Him better. Finally when His Word etched in our minds, we are better able to hear His voice when He instructs and guides us. we use those phrases of Scripture as we talk with Him, worship Him, and teach or witness to others (Col. 3:16). in the booklet has its prayer, short, humble and powerful. some content is copyrighted by its sources. All Writers and Authors of poems. New King James Version. 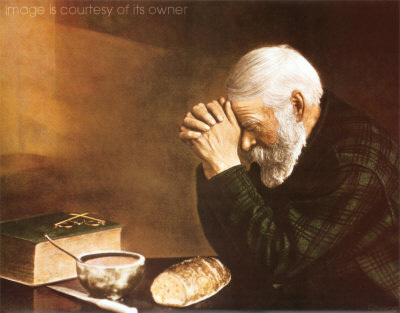 © 1982 Thomas Nelson, Inc.
Our Daily Bread © 2012 RBC Ministries.